Today we can reveal that the final story in The Fourth Doctor Adventures Series 10 is a thrilling historical, as the Fourth Doctor and Leela encounter esteemed paleontologist Mary Anning in The Primeval Design, written by Helen Goldwyn. Mary Anning, played by Lucy Briggs-Owen, is the perfect quirky counterpart to Tom Baker’s Fourth Doctor. Growing up in poverty in Lyme Regis and despite a lack of education, Mary Anning taught herself to read and discovered multiple important biological finds hidden in England’s ‘Jurassic Coast’ – during a time when female scientists were not recognised. Even the Geological Society of London refused to acknowledge her expertise (and didn't admit women into the society until 1904). Thanks to her important work, Mary Anning helped pave the way for female scientists today. Writer, Helen Goldwyn tells us more: “When Big Finish asked if I'd be interested in writing a historical story for the Fourth Doctor, I was pretty overwhelmed. First of all by the opportunity to write for Tom Baker (MY Doctor! ), and secondly by the amount of work involved. 20,000 words is A LOT! “I also knew it would require considerable research so I bought some DVDs, read a lot of detail online about the era, and set about writing a treatment. Thank goodness for script editor John Dorney's expertise and patience with helping me to develop that. It turns out there are a few unwritten rules and conventions for writing a Doctor Who story that I couldn't have known without trying to break them! The Fourth Doctor Adventures Series 10 Volume 1 consists of two two-part adventures for the Fourth Doctor, Leela and K9. And The Fourth Doctor Adventures Series 10 Volume 2 wraps up the series with two more two-part adventures. Doctor Who – The Fourth Doctor Adventures Series 10 Volumes 1 and 2 will be released in January and February 2021. 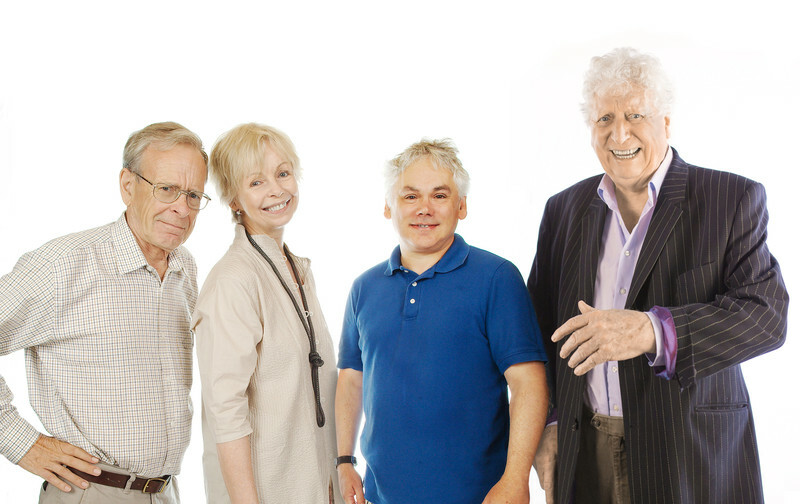 In Series 9 (being released in 2020) of The Fourth Doctor Adventures, we’ll be returning to E-Space as Tom Baker is reunited with Lalla Ward as Time Lady Romana, John Leeson as robo-canine companion K9, and Matthew Waterhouse as mathematical genius Adric. Series 9 is set in the beginning of Tom Baker’s final television series as the Doctor in between episodes State of Decay and Warrior’s Gate of season 18. Trapped in E-Space, a pocket universe next to our own (N-Space), the Doctor acquires a new companion Adric, a 15 year old mathematical genius, who begins to travel with the Doctor and Romana. Volumes 1 and 2 of Series 9 will be released in January and February 2020, with Volumes 1 and 2 of Series 10 following in January and February 2021. Each volume is available as a 4-disc CD box set for £25 on CD or £20 on download from Big Finish. Or why not save money and get both volumes of each series together in a pre-order bundle for £45 on CD or £40 on download. All of these adventures will also be available for download individually priced at £12.99, available for pre-order now.